Last months favourites was so easy to write-but this month I didn't feel like I had been using, and loving that many new things. I'm still utterly in love with the products I used in this post and use them very regularly. But there are things I am using that are very worthy of a mention and I have rounded them up into this post. Something I talked about recently in my All About the Base post was the Too Faced Hangover Primer and I am really in love with it. It's hydrating without being greasy, it's lightweight and adds radiance and it really helps my make up stick to my skin. I was really late on the bandwagon with this one but I am glad I finally picked it up! A 'shopping my stash' find is the Armani Eye Tint in the shade 09 Cold Copper. I tend to dip in and out of these and own about 5 of the shades. 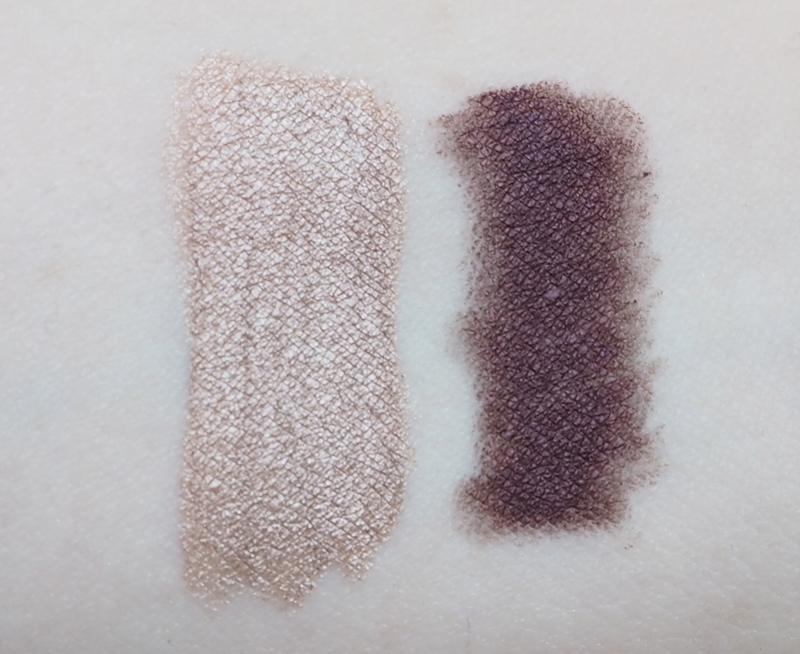 These cream eyeshadows are amazing. They are super easy to apply-I just swipe the doe foot applicator over my lid and and use a fluffy blending brush to blend out the edges. Once they dry they are set-they won't budge or fade or crease. Cool Copper is the perfect illuminating cool champagne tone. These also make amazing bases for other shadows over the top-they enhance the tone and longevity of any shadow-it's my top tip for making your eyes bright and sparkly and your shadow lasting all day. I've owned the Tarte Skinny Smouldereyes in Golden Tigers Eye for a while but didn't realise how an aubergine toned liner like this can enhance green eyes. I really like to smudge this on the lower lash line and I find it to be much softer than black. The formula of this is really long lasting, it doesn't migrate and it's similar in texture to the Charlotte Tilbury Rock N Kohl liners. I like it a whole lot. The MAC concealer palette in Light is a brilliant little palette for pale skinned girls. It contains 4 concealers-W10, NW20, NC15 and NC20 so it has both cool and warm tones covered and pink and yellow toned correcters are also included. I have been using the pink toned corrector to banish dark circles and then NW20 to conceal on top. I love the fact you can mix and match the shades and that the formula is easy to work with-it's not too stiff and it isn't cakey. There was a lot of hype about the Marc Jacobs Velvet Noir mascara when it launched earlier this year and I bought it on the hype alone but only just got round to trying it. I really like this mascara. It has a fibre brush and it is really comfortable to use on the lashes-I have real issues with scratchy mascara wands. The formula is quite wet from the off but it gives deep black, volumised and lengthened lashes and it doesn't smudge. It's very buildable for extra drama. The packaging is chunky but minimalistic and the wand does pull out a bit too much product so you may find you need to clean up around the lid occasionally. The final thing I have fallen in love with is Chrome nails! I have had so many compliments on these since I had them done. They are not quite client appropriate for my job but as I only see clients one week in a month I have been able to get away with them for the last two weeks. The manicure lasted two weeks solid without chipping (it is over a gel base) which I am so impressed with. I had mine done at We Nails Dubai in Dubai Marina and they were AED200. I chose #6 Rose Gold and although I have now gone back to a 'normal' manicure I am definitely getting these done again for Xmas for sure!